Good morning! 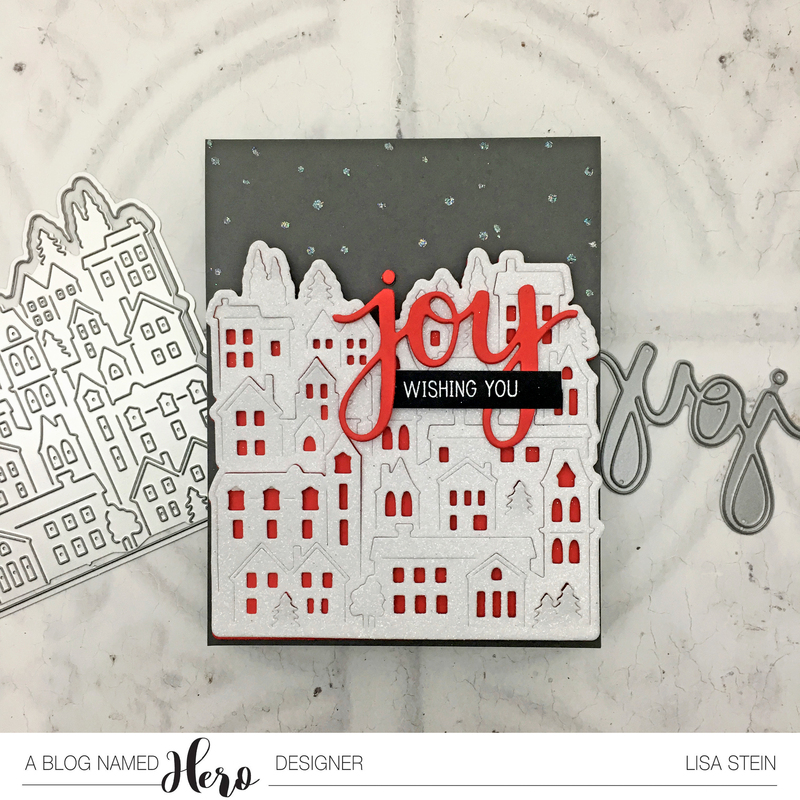 We have a new challenge starting today at A Blog Named Hero and it’s a good one! 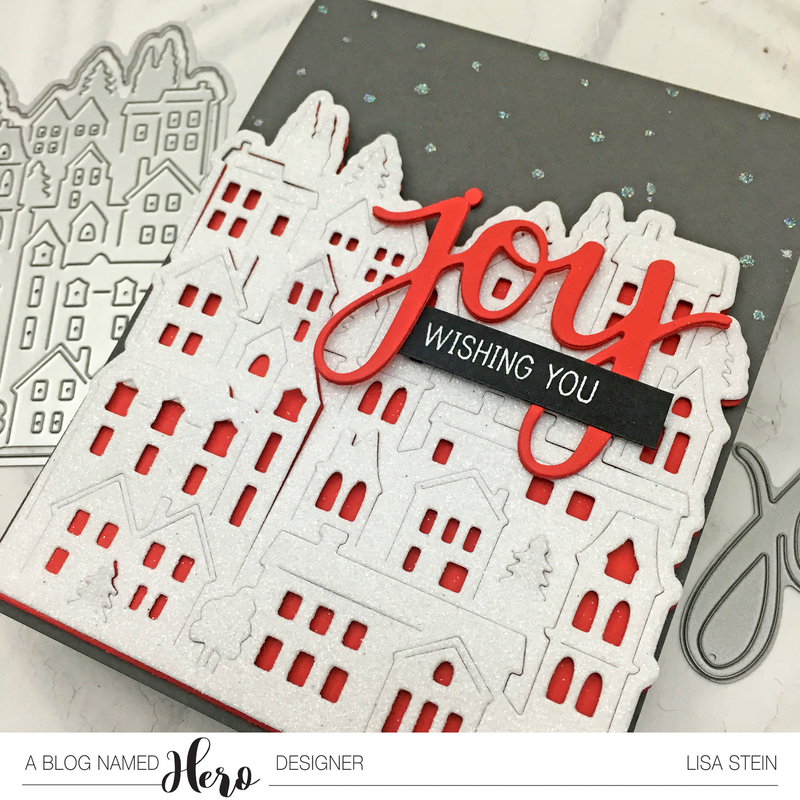 I used the new Paper Layering Neighborhood die to cut the neighborhood twice. 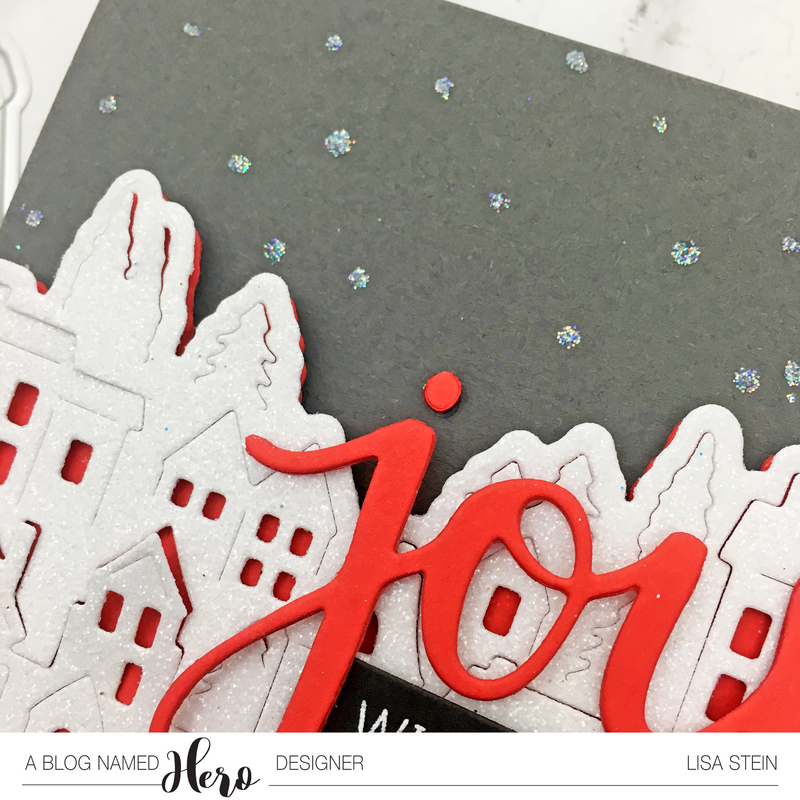 Once out of white glitter paper with both dies and once out of red card stock with just the frame die. I adhered the silver section on top of the cardstock using a combination of liquid adhesive and foam strips. I wanted there to be a bit of dimension, but not in every section. There was no rhyme or reason to this, which sometimes leads to some of my favorite creations. It’s hard to tell, but you can see a bit of the sparkle and shine from the glitter paper in this photo. 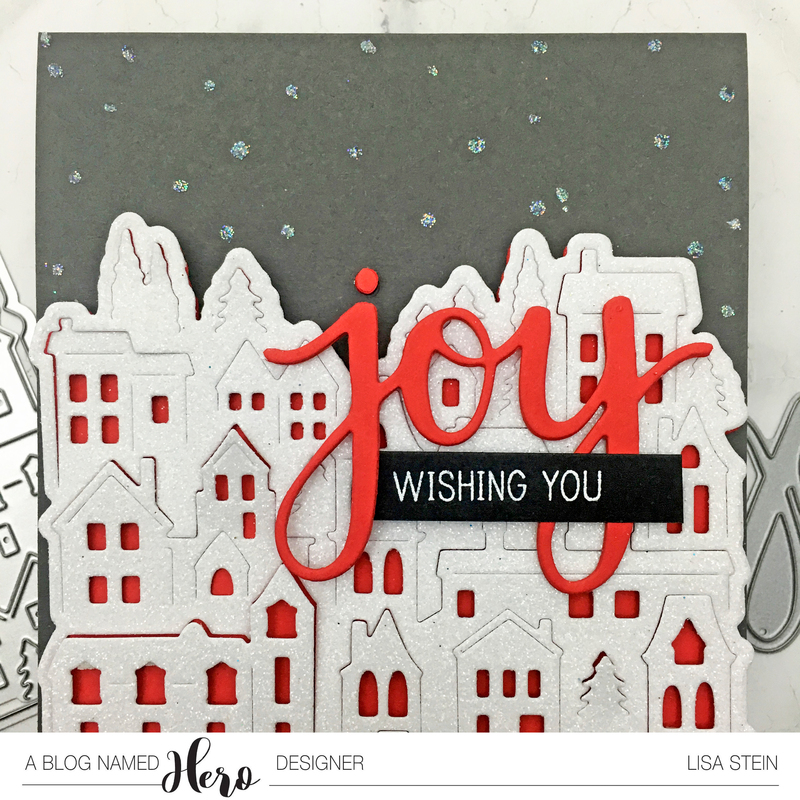 You can also see in this photo how the tittle of the j in joy is on the card base while everything else is popped up on various layers. I used the Stamp & Cut Joy set for the sentiments. I adore these classic Stamp & Cut sets and hope that Hero Arts comes out with more of them. I finished the card with drops of liquid glue and then some Lawn Fawn Prisma glitter. Thought it would look a bit like falling snow. And you know you can’t go wrong with glitter! I hope you’ll join us on our challenge this month. Sparkle & Shine means we get to use the shimmery stuff, and I know you’ve got some! Hi Lisa, I love this card! It has a wonderful Christmas-y feel to it. And the longer I looked at it the more ideas came to me. Beautiful card, thanks for the inspiration.